On Friday, Hillary Clinton announced that Sen. Tim Kaine (D-Va.) was her VP pick, capping months of speculation about the Democratic presidential nominee’s running mate. The announcement rippled through Virginia politics, with elected officials from a local level on up weighing in on the decision. Among Democrats representing Arlington in Richmond or across the Potomac, many were quick to praise the pick. I enthusiastically applaud Secretary Clinton’s choice. Without reservation, I can say there is no one of higher integrity and trustworthiness. I first met Tim Kaine in law school 37 years ago, and our paths crossed years later in Virginia politics. 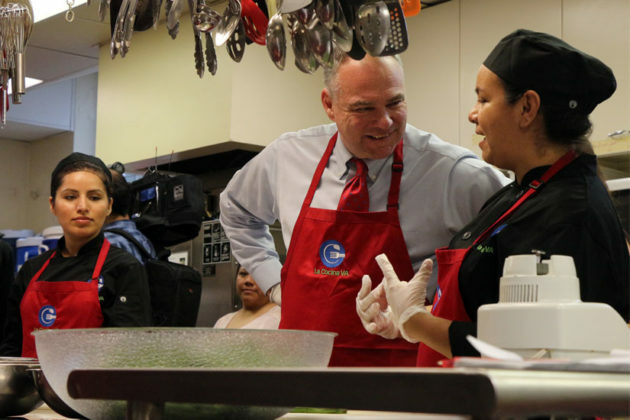 Whether serving as mayor of Richmond, Virginia’s lieutenant governor, governor, and now as U.S. senator, Tim has always shown a commitment to serving others. He always finds reasons for hope and optimism in every situation, and he is centered by his faith and his family. 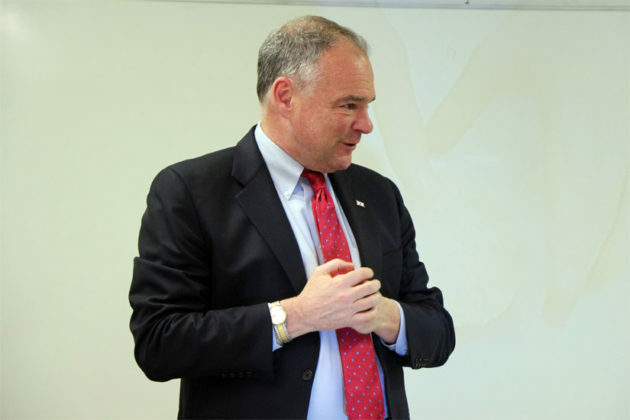 Our country, and the Commonwealth of Virginia, will be very well-served by electing Tim Kaine as Vice President. 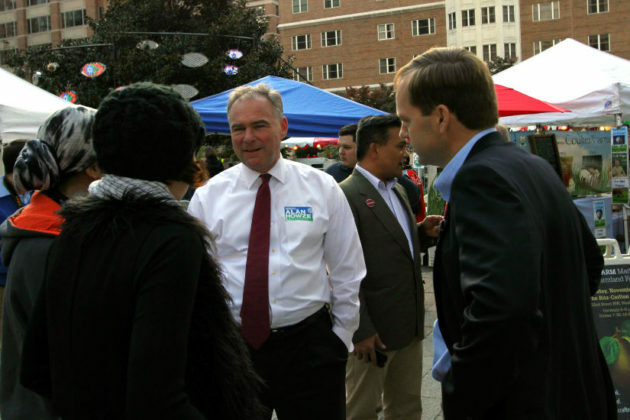 I am thrilled to congratulate my friend Senator Tim Kaine on his selection to join the Democratic ticket with Hillary Clinton. As a Mayor, Lieutenant Governor, Governor and United States Senator, Tim Kaine has demonstrated that he is the right choice to help lead our country forward as Vice President of the United State. His experience, intellect and dedication to making life better for people from all walks of life will make him an enormous asset to Secretary Clinton throughout the remainder of this campaign and as a leader in her administration over the next four years. This is a proud day for every Virginian. Secretary Clinton has made a wise choice in Tim Kaine as her running mate. He is an extraordinary public servant who has dedicated his life to helping others. In his administration, I coordinated and supervised Congressional and Federal Relations for the Commonwealth and the Governor. In that position, I saw firsthand his intelligence, innate decency and ability to get folks from all points of view to work together. 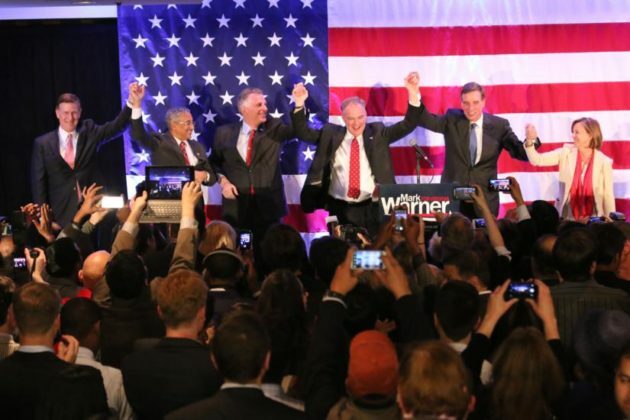 A tireless champion for the citizens of the Commonwealth, Tim Kaine takes a pragmatic and results-oriented approach that has earned him respect on both sides of the aisle. He is a strong addition to the Democratic ticket and will be a true asset to a Clinton Administration. Simply put, my old boss and friend U.S. 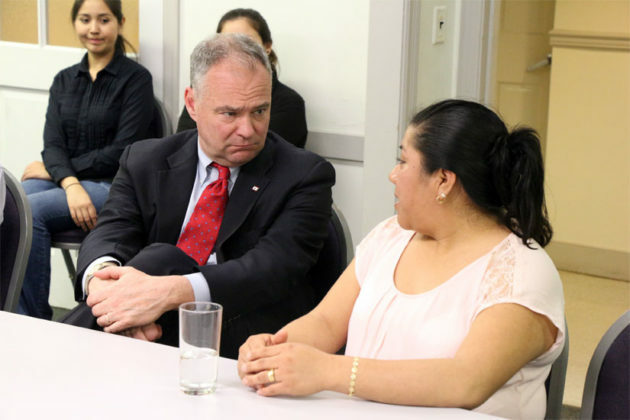 Senator Tim Kaine is one of the best public servants and one of the best individuals I’ve ever encountered. In a world that sometimes feels like it has lost its way, the nation will benefit greatly from the leadership, compassion and infectious optimism of Tim Kaine. The speculation about who Gov. McAuliffe might appoint to replace Kaine in the U.S. Senate, should he and Clinton win the presidential race in November, has already started. Among the local names being mentioned as possible Senate appointees are Rep. Don Beyer, Aneesh Chopra and Del. Lopez.